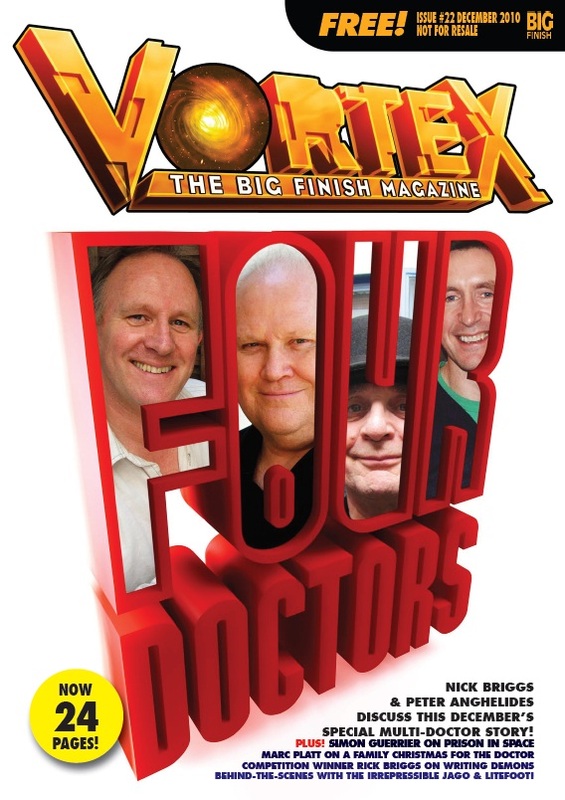 To accompany my subscriber-only audio The Four Doctors, I did an interview for Big Finish’s Vortex magazine. Here’s the full version of my original answers. 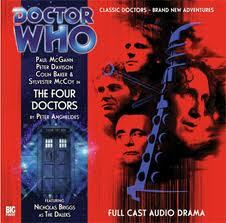 What was your brief for writing The Four Doctors? Big Finish originally suggested a Doctor Who version of A Christmas Carol. The CD was coming out as a festive special for subscribers, so that initially seemed like a good idea. Fortunately, I persuaded them I had a different idea. Not least because it turns out that Steven Moffat is doing that for the Matt Smith 2010 Christmas episode, and if it’s me versus Moffat then there’s no contest – in any respect whatsoever! I liked the idea of a proper time-travel story for the Daleks. Not the sort of run-around we got with The Chase, or the clever but ultimately straightforward structure in Day of the Daleks. What are the key selling points of the story (aside from the obvious)? The presence of more than one Doctor invites you to do something a bit different from their previous meetings in The Three/Five/Two Doctors. Each Doctor has plenty of action, and it’s the combination of all their decisions that drives the story and its resolution. The TV series has shown that there’s scope for developing the Daleks, too. So I hope I’ve introduced a few new aspects to them, too. Lastly, it’s four episodes. They’re slightly shorter than conventional episodes, but really not that much. Or at least, they weren’t when I listened to the initial cut. How hard did you find it writing for all four Doctors? I’d written the Eighth Doctor before in three novels and an audio story, so I thought I’d find he’d be easier than he was. 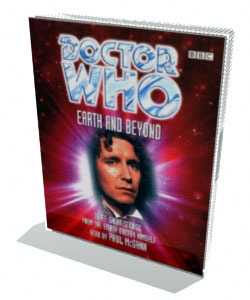 Thing is, the novelists were able to augment the TV Movie character through the BBC Books. But we didn’t benefit from the active participation of a lead actor growing into the role. The authentic voice of the Eighth Doctor is now unambiguously the Big Finish version. And never more so than in the scripts written for him by Alan Barnes. Having Alan as my script editor was an absolute boon. His contribution has been essential. Alan’s made me look really good! Is there one Doctor you have a special affection for? Tom Baker was the Doctor of my youth. 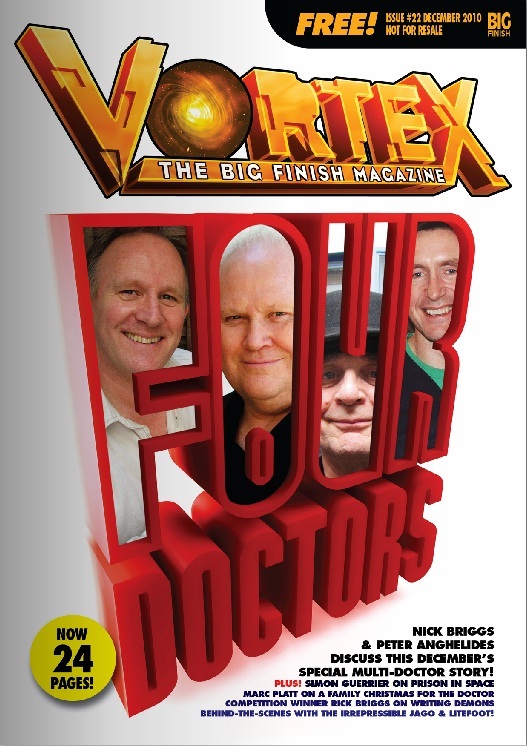 But in The Four Doctors, I most enjoyed writing for Colin Baker. He’s a lovely chap – I’ve met him a couple of times in the Green Room at conventions. 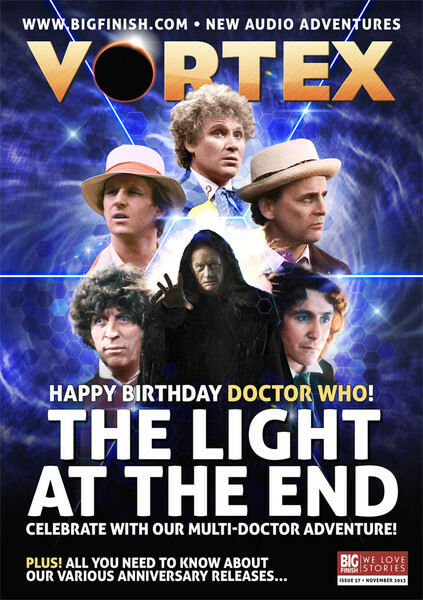 He’s finally been done justice by the Big Finish audios, and I was very pleased to be the latest contributor to that. Four Doctors, Daleks; have you peaked now? What ambitions remain for you? Thanks for that thought! Maybe I haven’t peaked just yet. Or more probably, I’m like Sisyphus, and each novel or audio is another boulder. I push the boulder up the hill, knowing it will roll back down and I’ll start all over again on something else. I’ve done novels and short stories and audio plays and talking books for various Doctors and Sarah Jane and Torchwood. I haven’t given the Eleventh Doctor boulder a push yet. That would be fun. You’ve also written a lot of Doctor Who books; how different is it writing those to writing an audio? You know with an audio that the script is essential, but it’s only the start. As you write, you’re thinking about what will work in the story, how the effects might play, what the actors and director and sound engineer and composer can bring to it. The final thing is far more collaborative, the product of a wider variety of contributions and talents and variables. Which of your Big Finish stories has been your favourite? “The Tip of the Mind” in Short Trips: Companions. It was a Zoe Heriot short story in the form of an Alan Bennett monologue. Mind you, that was published in 2003. Perhaps I peaked even sooner than you suggested. My Companion Chronicles story Ferril’s Folly comes out in Spring 2011, starring Mary Tamm as Romana. How is it possible that she and the Doctor discover a hitherto unseen segment of the Key to Time? Buy the CD in May to find out! I’m open to offers. Got any more boulders to push? 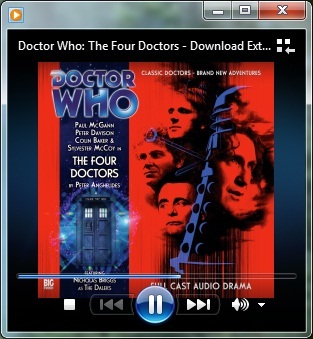 A clever fellow has animated a Dalek sequence from my Big Finish audio The Four Doctors. You can check out others like it at rdjackson87’s YouTube site.